The RBC Canadian Open kicks off Thursday in the first PGA tournament since the Open Championship. As expected, since most players are experiencing jet lag, this is a relatively weak field. We have a few of the big-name golfers, but there’s a pretty big fall off early on. Nevertheless, without NFL and NBA in the mix, daily fantasy players should be filling up the DFS tournaments just fine. But before we dive into the details of the event – since we have made site improvements and shared some of our work, we’ve had some great success, including someone using it to win the Medium and the Mini Royal Championship on DraftKings last weekend. He didn’t even use Rory McIlroy in his lineup! While we mentioned that Francesco Mollinari was a fantastic value play (20.8 percent used in the mini), we also said his brother Edorado Mollinari was great as well (only 0.8 percent used in the mini). We look to provide the same kind of success with more of you. Let’s take a look at the notes for the RBC. 1. Do NOT evaluate past results for course comparison- If you’re not familiar with the RBC Canadian Open, it’s played at several different sites on an inconsistent rotation. This year the tournament will be played at Royal Montreal Golf Club for the first time since 2001. Sometimes if a course sets up well for a certain player and there’s enough data that shows he does well there, it’s worth a look. This is not the case. 2. Royal Montreal plays at a par 70 of 7,153 yards – There are two par 5s and both are tipped out at 570 yards. They can both be reached in two (especially No. 12), and there isn’t a ton of trouble around either green. We can factor eagle average a little bit here considering that we are plenty deep enough into the season to have enough data. However, we just can’t factor it much since there are minimal opportunities. 3. Canadian golfers are favored more in this event for Vegas odds, but Vegas is just increasing the juice, and it’s not accurate – I’m going to answer this in a quick conversation with myself. I bring this up since we use Vegas odds heavily in determining who to play versus the salaries. Canadians should be pumped to play in their Open. Vegas is just suckering in fishy sports bettors. It’s such a weak field though. A Canadian could easily win. Well, a Canadian hasn’t won the event since Karl Keffer did back in 1914. It’s been 100 years, and this field has usually been fairly weak. Okay fine. But there are only six golfers on the PGA Tour who are Canadian. Plus, Graham DeLaet and David Hearn are two noteworthy names, and Mike Weir could do well. A lot of guys from the Canadian Tour get to play in this event. In fact, 18 Canadians played in the event last year. Their best finish was T44 by Hearn. Only three of them made the cut, including Roger Sloan, who isn’t in this year’s field. That could just be a one-year coincidence. 20 of them played in the event in 2012. Their best finish was a T56 by DeLaet, only five made the cut and the other four that did finished T71 or worse. The list goes on. Here and there one or two Canadians have done well, but that’s more due to variance, not the myth that Canadians will play better at home. Then how did you know about Europeans and international players having an advantage at the Open Championship? Most importantly, there’s long-term statistical evidence that supports their success. 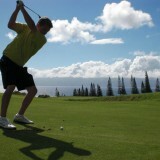 Golf is much bigger in Europe and international players are significantly more familiar with links golf. Canadian courses are no different than American courses for the most part. 4. Weather looks good until Sunday – Obviously weather can change, but the most skilled DFS players will look to get an advantage by examining weather patterns. How so? Golfers that tee off Thursday morning will then tee off on Friday Afternoon and vice versa, Sometimes this works with when light rain comes to soften the greens or when the wind is calmest. However, there’s no real advantage this weekend it looks like. Tim Clark $7,500 – One of the best plays. He’s between 50-1 and 66-1. That’s a steal at that price. Clark has only made 50% of his cuts, but is coming off a T5 at the John Deere Classic (carded a 63 and 64), has three top-21 finishes in the last two months. and two top-10 finishes on the season. This course is also a shorter length par 70 course. Clark is No. 1 on the PGA Tour in GIRs from 75-100 yards, No. 4 in GIR percentage from under 100 yards and No. 4 in approaches from 50-125 yards. He also fired a 62 earlier this year. Aaron Baddeley $7,500 – Another great play who is a bit more consistent than Clark with 13-of-20 cuts made. He missed the cut at the Quicken Loans National (his last event, by 2 shots), but he’s made the last five that includes the U.S. Open and the Memorial Tournament (good fields). Baddeley is ranked as the second-best putter on Tour for the 2013-14 season. I know I said previous results don’t matter, but the winning score has been between -14 and -21 in eight of the last nine years. When the tournament was at Royal Montreal in 2001, the winning score was -14 and the greens are the same as they were back then. Essentially, the greens are fairly easy and there are a lot of birdies to be made. Carl Petterson $7,600 – Has made 14-of-23 cuts. Petterson is between 50 and 80-1. He’s made his last five cuts that includes a T7 at the Traveler’s Championship and a T3 at the St. Jude Classic. Unlike other sports where it’s bad to be recently biased, it’s more okay in golf as long as there isn’t a huge difference in the type of course and the level of competition doesn’t change. Those were the three best plays, but here are two more to consider that are lower-salary guys. The odds support these plays. They will help you get more of the top players, but are more risky. You should only use one in an entry. Johnson Wagner $6,100 – Is coming off a T7 at the John Deere Classic and has made three of his last four cuts. Jhonattan Vegas – $6,500 – Has made 14-of-19 cuts. He still has the ability to go low. He still needs to make more money in his next few tournaments to keep his PGA Tour card. He’s been playing better as of late with his back against the wall and finished T3 at the John Deere Classic. That included a long clutch birdie putt on the 18th hole on Sunday and shot 63-65 over the weekend.